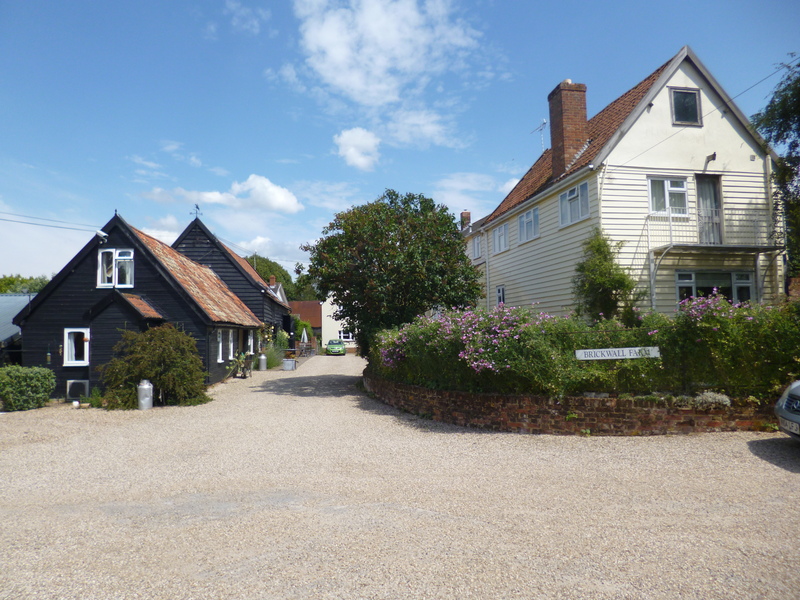 During their stay, guests will have use of the lounge wherein coffee, tea and home-made cakes will be provided and there is an open log fire to enjoy during the colder months. Free WI-Fi is also available. Breakfast is served in the lounge between 7:30am and 9am. 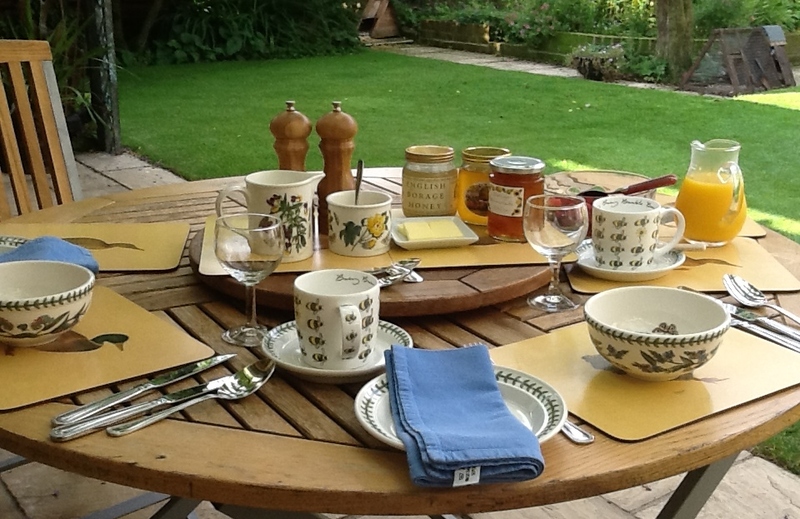 In the warmer months breakfast may be served in the garden. 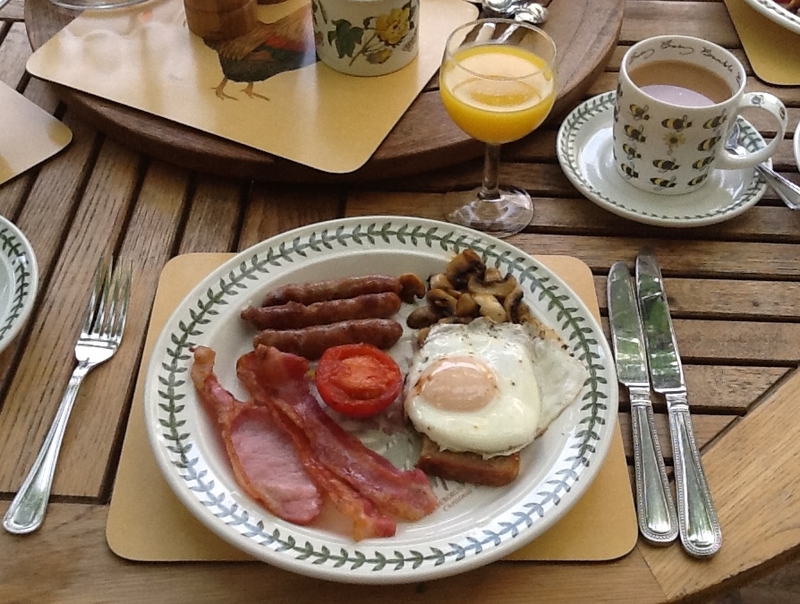 We offer a variety of cooked breakfasts made with eggs from our free-range hens, home-made bread and locally sourced bacon and sausages. Unfortunately we do not cater for dogs in the Farmhouse. 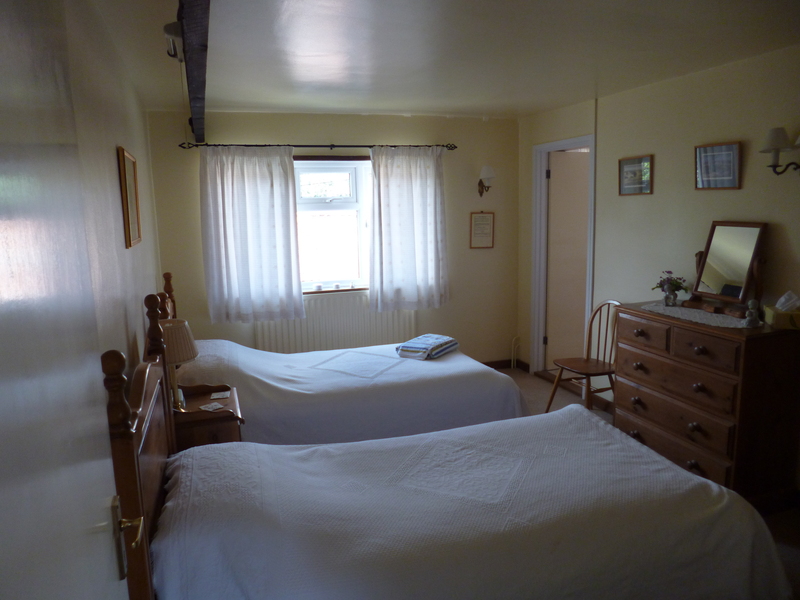 A light and spacious room for two, with a shower en-suite; equipped with a hair-dryer, an alarm clock and a television. 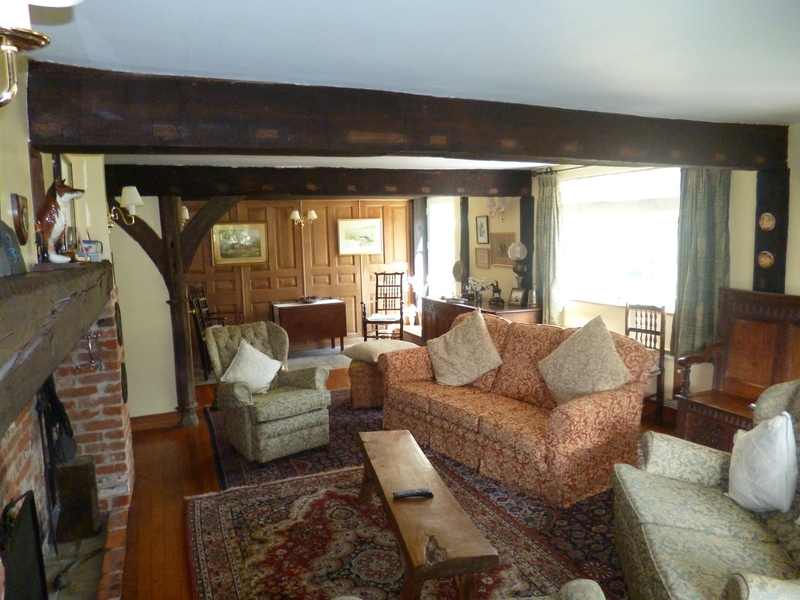 The room overlooks the farmyard and is, again, situated on the first floor of the farmhouse. 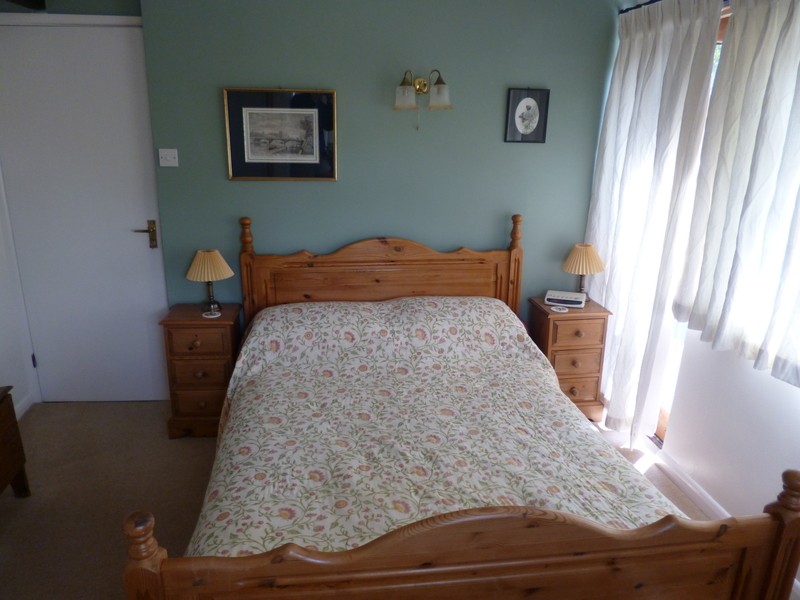 This lovely single room is often offered as an accompaniment to the double room as the bathroom facilities are shared. Suitable for a child or extra guest. 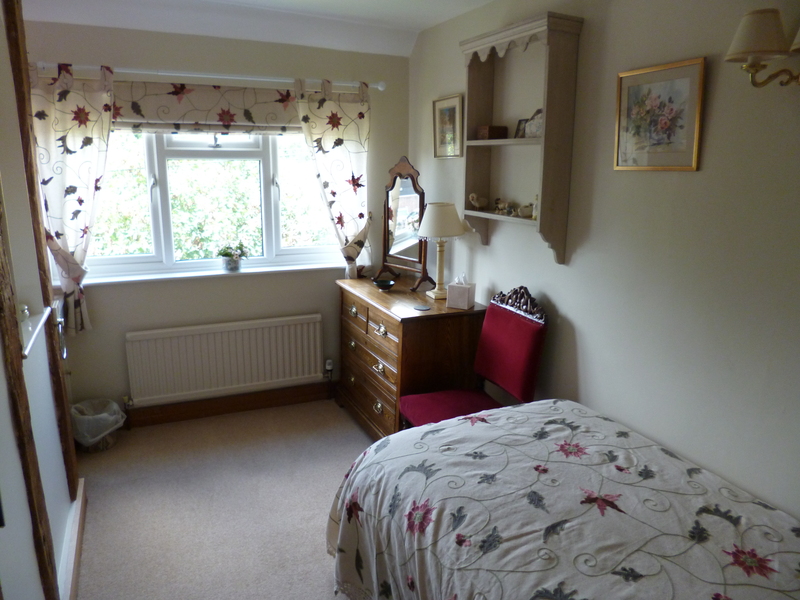 Just as the other two rooms, it is equipped with a hair-dryer and alarm clock.